We Irish love our tea, and personally I’m a bit obsessed. At home it’s a pre-warmed pot, Barry’s Classic Blend (one tea spoon per person, and one for the pot). Boiling water. Tea cosy. A three-minute rest and yes, milk before the pour. So, what’s all that to do with gin? 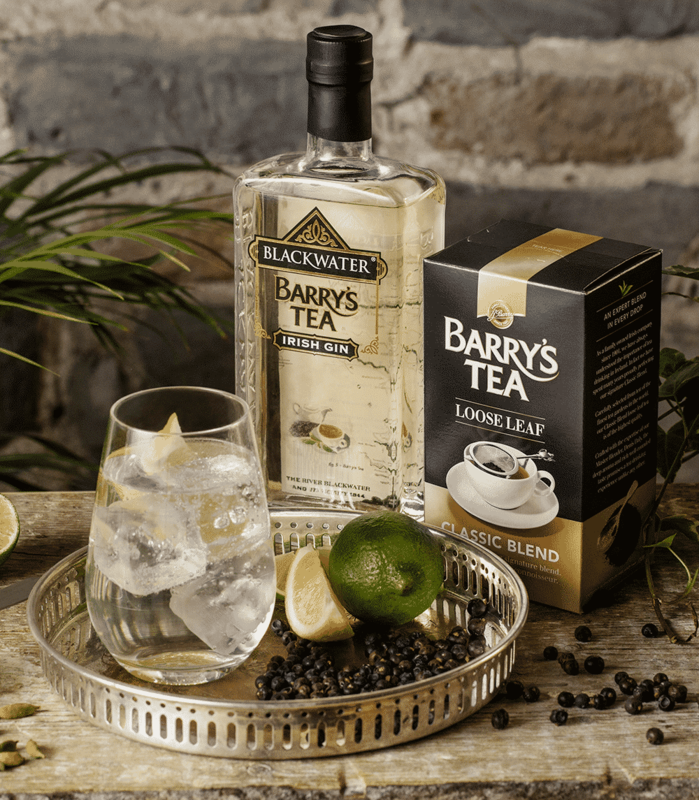 Well as a self-confessed Tea Jenny, creating a gin with Barry’s Classic Blend at its core was always an ambition. Distilled tea doesn’t taste much like tea, it’s spicy. However it still marries well with all the traditional accompaniments like cardamon, cinnamon and lemon. Stir in a good measure of juniper and you are well on the way to distilling a seasonal special. Before bottling we have a brew up, and these large pots of tea get stirred into the gin prior to bottling and that’s what gives this gin its golden glow. So there you have it, with ice lemon and the tonic of your choice, that’s how to make the ultimate G & Tea.